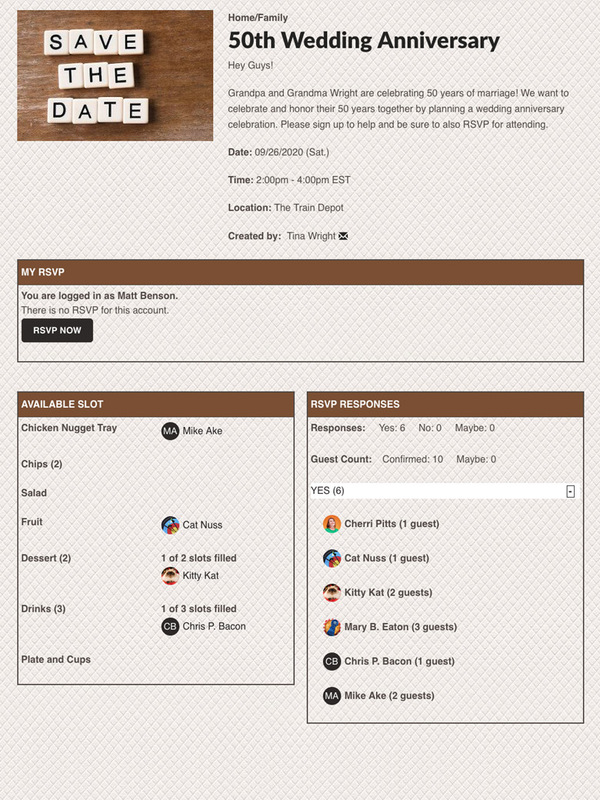 Manage RSVPs and coordinate wedding event planning with custom online invitations. 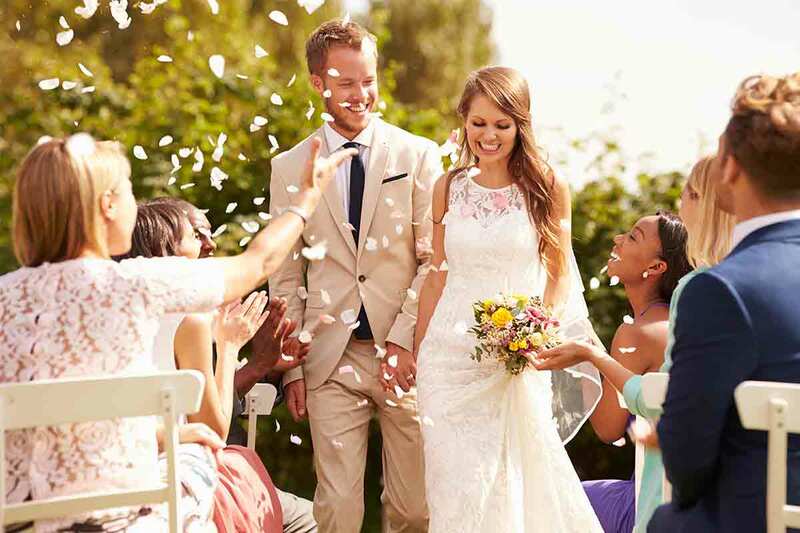 Announce a wedding, send online invitations and collect RSVPs electronically. 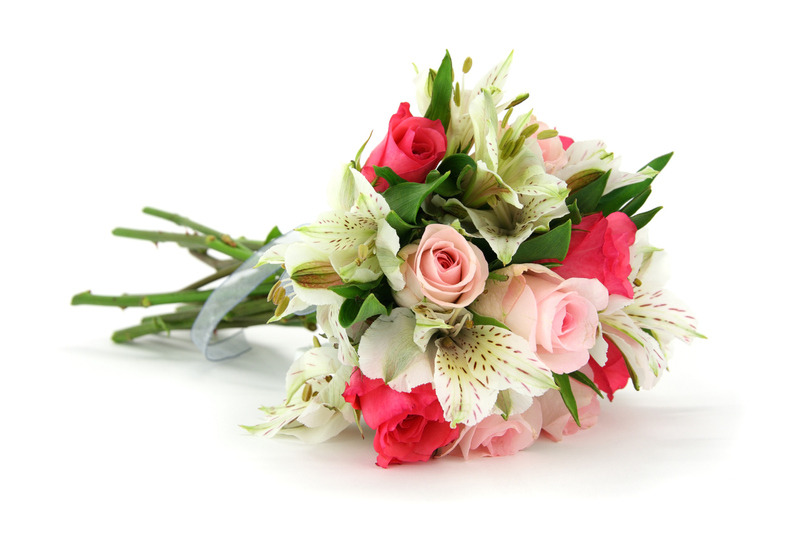 Send bridal shower invitations, collect RSVPs and organize drinks and snacks. 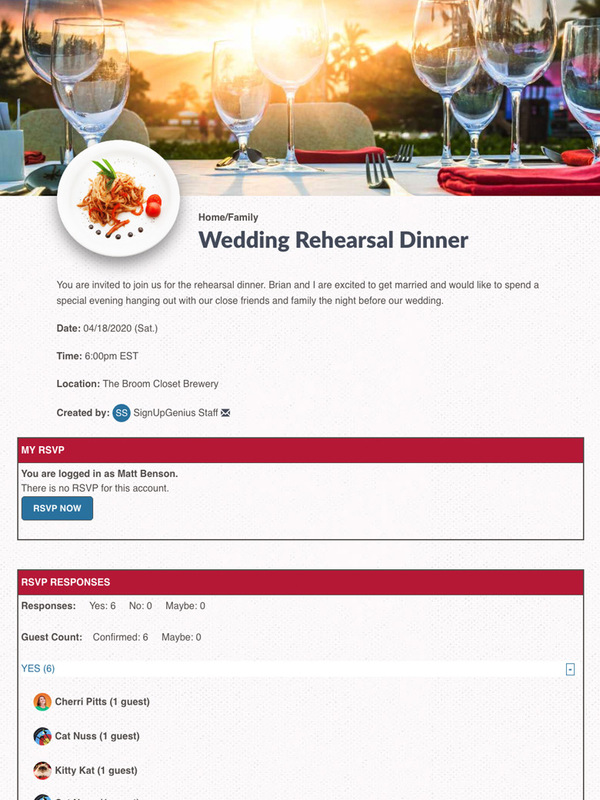 Collect RSVPs for a rehearsal dinner with online invitations. Create a wedding planning checklist to recruit help for decorations, transportation, and preparation. 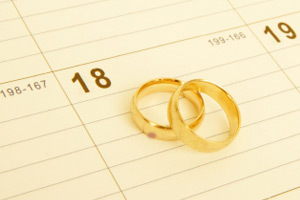 Send wedding anniversary invitations, collect RSVPs and recruit volunteers to bring items for the reception. 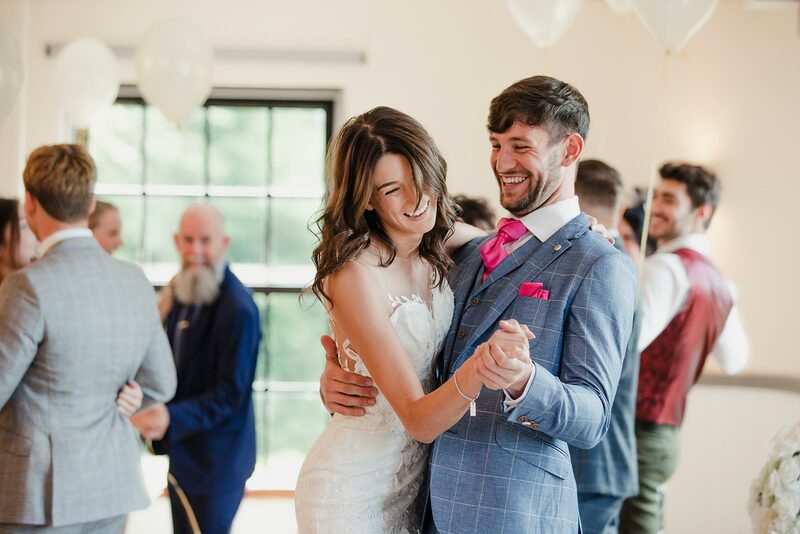 Make your wedding a success with this helpful planning checklist. Use the planning, budget and celebration tips to be prepared and help avoid being overwhelmed. Try these games and activity ideas to have a fun and memorable shower. 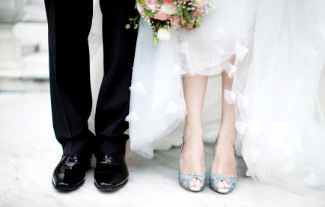 Start planning your wedding with these simple and helpful tips to get you started. 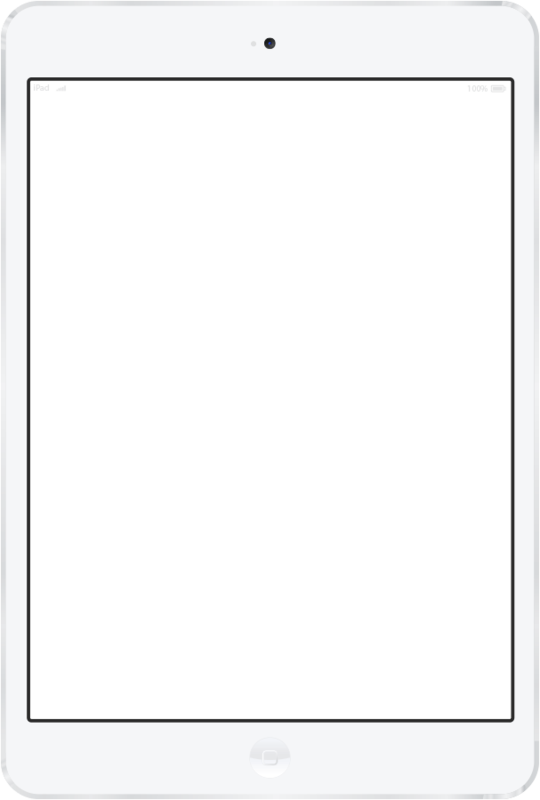 Create custom electronic invitations and send email or text invites in a snap. 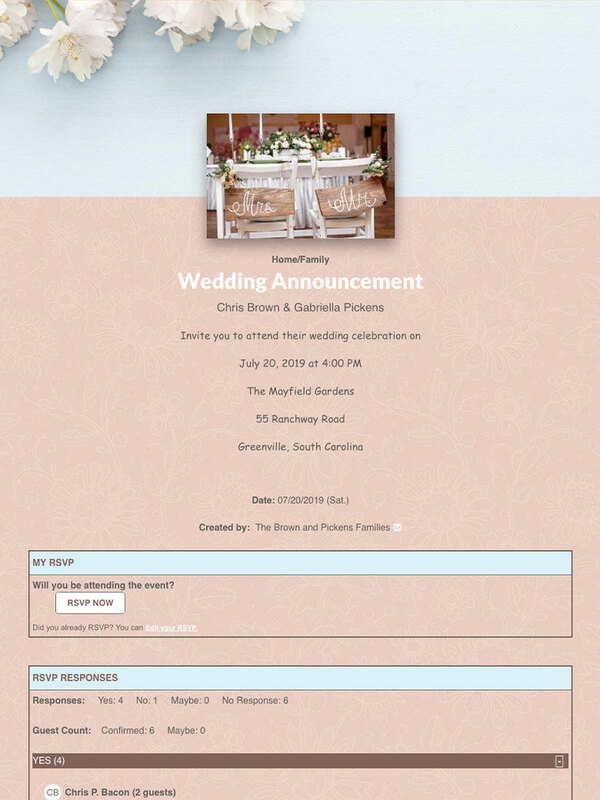 Upload your own pictures and customize invitation colors. 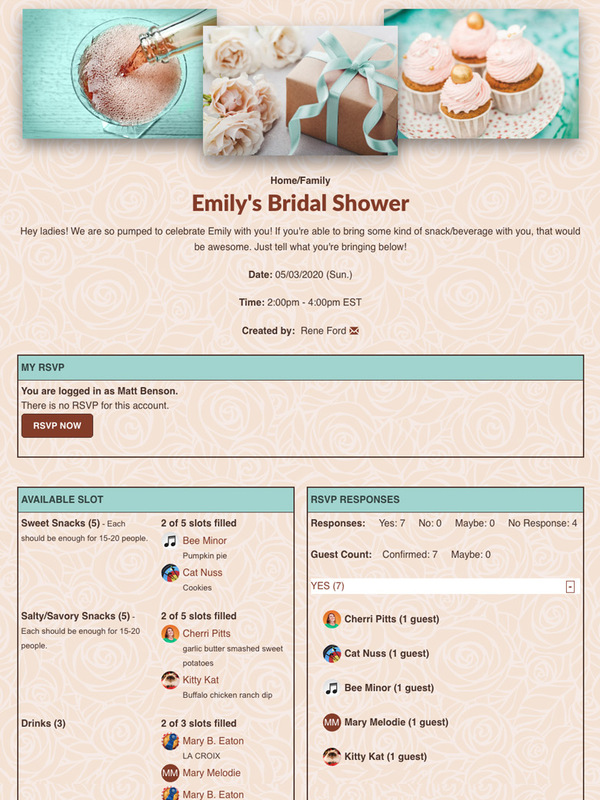 Create sign ups and invitations for weddings, showers and anniversaries. 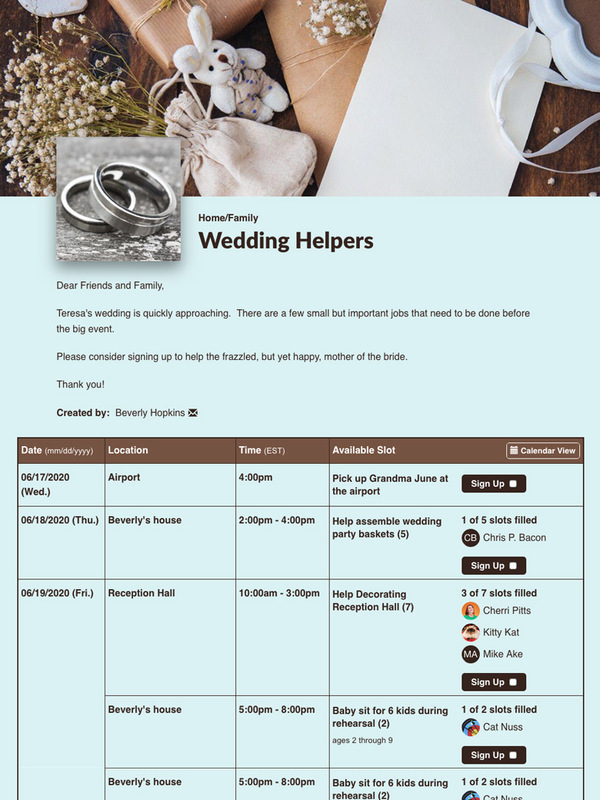 Send digital invitations, collect RSVPs and organize wedding events. No spam. Period. Enjoy customizable privacy settings. SignUpGenius is wonderful! It makes it so easy to invite and track who is coming to my events! I cannot believe how easy it is to create quality invites. Set up is so easy and responses come in much more quickly because it's so convenient for the invitees to use. I am happy that this site is easy and has lots of options to create an invite. I use it each month to coordinate a social event, and I can easily edit or change what I need, as well as continue to communicate if necessary!